Ronnie is the man of the day. 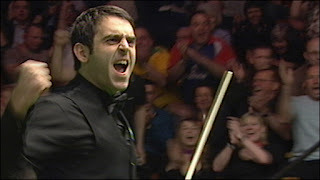 Ronnie beaten Joe Perry 4-0 in the final in 51 minutes. He hit breaks of 60, 105, 117 in that match. 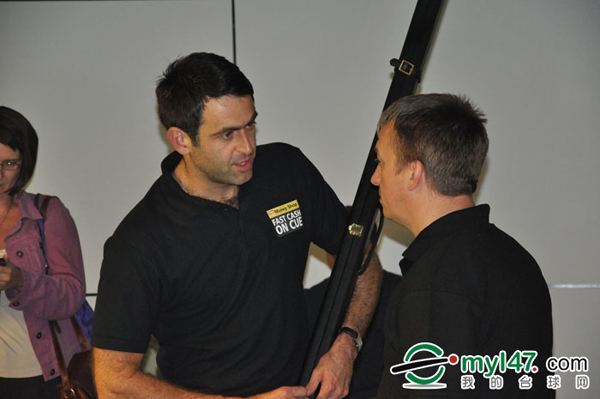 Last ranking title of Ronnie is Shanghai Masters Champion in September 2010, beating Liang Wenbo in the final. This is his first ranking title in 21 months. In the last day of the competition, Ronnie tried to make a maximum in semi-final against Joe Jogia but he missed in the last yellow on 120. Ronnie knocked 6 centuries 101, 104, 107, 115, 120, 124 in a single day. He made 8 tons in the 3-day events, more than one sixth of the total. It was an amazing match in the quarter-final between Bingham and him. Both players did really well, most frames they won were by one visit. Eventually Ronnie was stronger than Bingham and took the victory. Let's talk about runner-up Joe Perry. I am glad to see Perry back in form and reached the final. I am delighted to see if he can get into top 16 again in the new season. Ronnie had a positive and enthusiastic attitude in the PTC1. His effort on the practice table were reflected on the result. He practised hard before PTC1 and he got the payback. I would love to see Ronnie keep this attitude and becomes competitve again. "My game wasn't too bad," said the three-times World Champion. "Everone was rusty. I'm just having a go and doing my best. This is a big season for me, I'm giving myself one more year, or possibly two, to see if I can improve. It's a work in progress but I do feel some optimism. "I'm still seeing (psychiatrist) Steve Peters. I still need help although I feel a lot better. There's tournaments all over the place now so I'm just taking it as it comes." Asked if he had been concerned about dropping out of the top 16, O'Sullivan added: "I don't worry about the rankings, although it's nice to be at the top. If I drop out and have to qualify then so be it. It would only be one match and the conditions at the qualifiers are good. Players come through them and go on to win tournaments so it wouldn't mean I couldn't win titles." I wish the victory can bring Ronnie a perfect start of the season. His provisional ranking is raised to eleventh after winner's 2000 points is added. I would love to see him back into the top 8 later. Best of luck in the coming tournaments, Ronnie.